Earlier this week, Honda UK showed it mischievous side by turning an FK8 Civic Type R into a pickup truck. 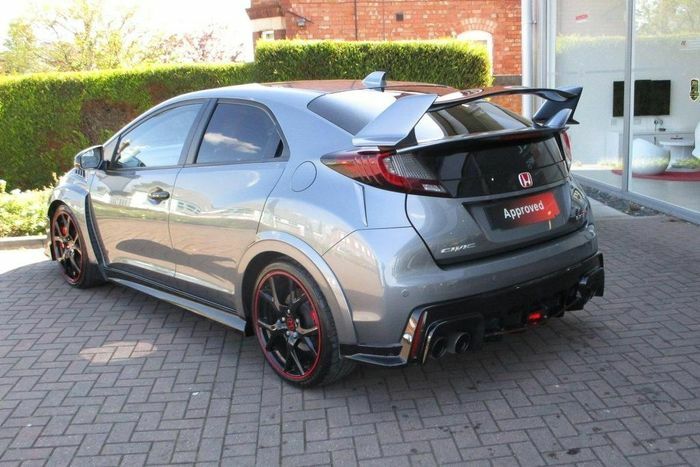 The Type R is the perfect base for a mad conversion like that, simply because it’s unashamedly a bit of a yob. The trouble is, that weapons-grade uncouthness doesn’t come cheap: the GT version - the one you want - is £33,525, over £5000 more than the Hyundai i30 N. But for outright cash buyers (if any are left out there), we have an option C for you: the FK2 Type R.
Granted, the FK8 represented a sizeable leap from its predecessor, but the FK2 is still an incredible piece of kit. With 306bhp from its 2.0-litre turbocharged inline-four it’s damn near as powerful, and it certainly doesn’t feel noticeably less powerful. It has a less sophisticated torsion beam rear suspension setup (the more recent car has a full- independent arrangement), but that doesn’t stop it being a corner-hungry monster. 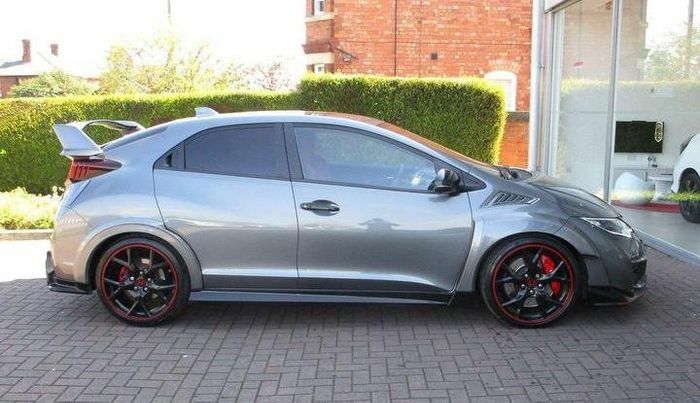 Thanks to a mechanical limited-slip differential and a clever front suspension setup it does an amazing job of managing all that power, giving the kind of traction that simply wasn’t possible in front-wheel drive cars a few years ago. Downsides? Well, it’s not exactly the smoothest-riding car, and that’s before you engage the brutally hard ‘+R’ mode, which we’ve always found unusable away from the track. The infotainment system isn’t brilliant, the trip computer fiddly, and then there’s the looks to consider. 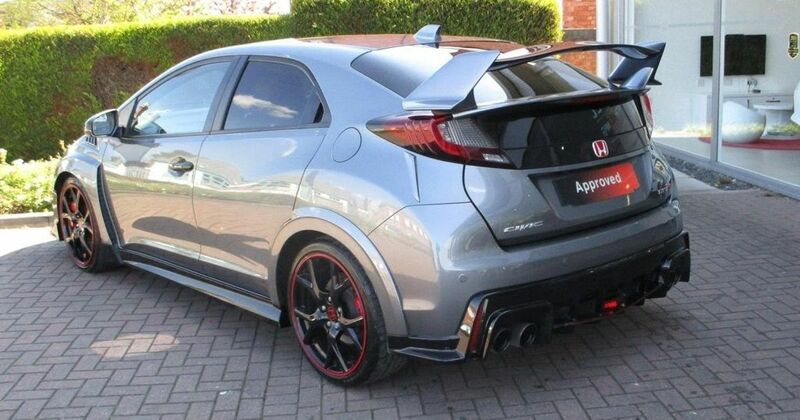 If we were being diplomatic we’d dub the Type R’s function-led aesthetics as ‘divisive’. If we were being less diplomatic, we might allude to it looking like it’s crashed backwards into a pile of cheap eBay-purchased car mods. 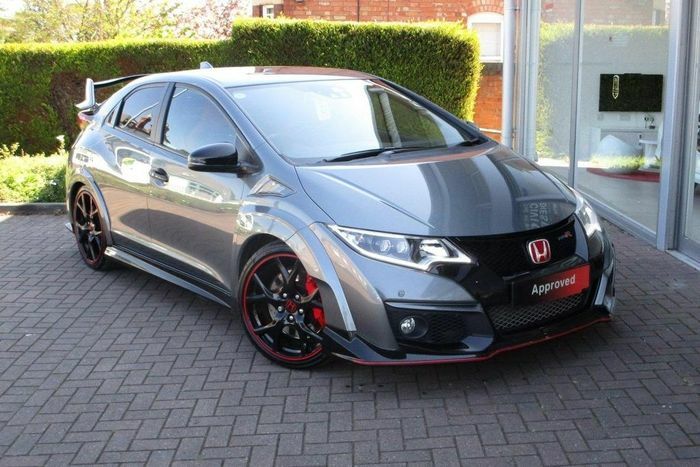 But if you can live with the looks, or even dig them (we won’t judge…much), this is one of the finest hot hatches money can buy. Plus the FK2 has been around long enough for the values to drop to a much more palatable level. Prices of tidy-looking examples have now dropped below the £20,000 mark. This one for instance is £19,990, and while it may have been fairly well used in its short time on Planet Earth with 42,503 showing on the clock, it looks like a safe bet.